Disclosure: I received this bamboo plant courtesy of CommercialSilk.com in exchange for this review. The opinions are of my own and were not influenced by the sponsor. We moved over the summer to a house that we could finally go outside and enjoy the beautiful summer sunshine. With that move, I decided to purchase plants for the deck in trying to add the warmth of a Florida day since we are completely utterly in love with Florida. The biggest problem with plants is me. I am a known killer of anything green that grows so I fretted over purchasing live plants or choosing artificial ones as I can't harm those. I did choose a few live plants and surprisingly, I haven't murdered them ... yet. However, I confess that I truly prefer artificial plants due to the need to not care for them. Artificial plants truly have come a long way from the years of past as now, they are beautiful and very realistic. 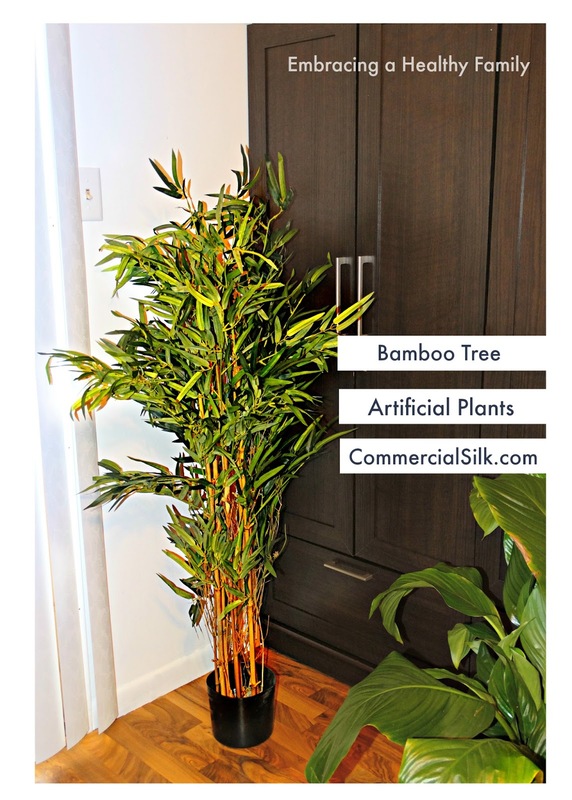 My husband and I really enjoy the look of bamboo which is why I chose the bamboo tree from CommercialSilk.com. The bamboo arrived in a tall box that fit the size of the 4' tree and was protected to avoid any damage. Once I "fluffed" out the branches, it was stunning! My husband returned from work and stated how realistic it was. He was in awe over how real it looked. It is also nice in that it's not heavy which allows for changing my mind where I want to place it as I moved it at least four times trying to find the right spot for it. It's now in a place where I can see it whenever I'm in the living room. The bonus is it requires no water and just a quick dusting every now and then and it will look as good as new as time moves on. The leaves are vibrant, as you can see in the photo, and the trunk is just beautiful in its ornate design. I would recommend this tree due to the size, the level of care needed (none), the beauty and realistic display it provides. As a large wholesale supplier of artificial trees, plants and decorative silk trees, they are a leading designer, manufacturer and wholesaler for both indoor and outdoor use. This looks like a nice tree. I love having a few plants inside, although I have never tried silk plants. I do like the look of the bamboo. They have quite the selection of Bamboo trees. If they all look as nice as this one I might just pick one up! These look great, thanks for sharing. 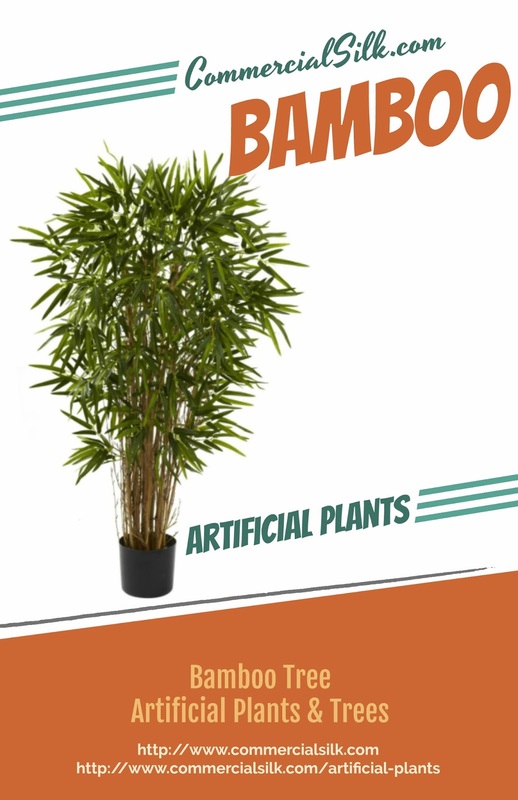 Tis bamboo plant would add a great tropical aspect to the home. This looks so real! I would love something like this for our new home. This artificial bamboo tree looks very nice. Thanks for sharing! I would love the plant in my home. This looks really nice, and because it is bamboo, it doesn't look fake. This is very nice! Would look great at my home.